Those whose occupation compels them to use lanterns, know the un-compromised value Dietz builds into every lantern. 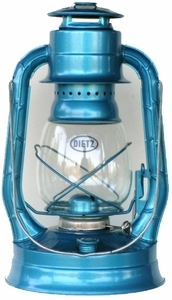 Every family, wherever they live, needs at least one Dietz Lantern for emergencies. Dietz Lanterns give the greatest economy of fuel consumption with undiminished light. Proven efficiency prevents failure in operation. Dietz Lanterns burn dry to the last drop, without interruption.